Living and residing in the cities of Cambodia is quite interesting since there are many options open for people to look into. The country has lot of foreigners who are working and carrying out their employment in this country. These expats and the people who are employed look around for places to live with their families and to have a comfortable life. There are people looking out for different types of apartments to settle down close to their places of work. The metropolitan cities where all the facilities are available for these expats to live like home they are spread across these highly popular commercial cities like Phnom Penh, Siem Reap, Sinhanoukville. There are many apartments, residences and places where they could buy and lease according to their needs. The majority of the apartments are fully furnished and fully serviced apartments which are geared to cater to their requirements with quality and dignity. These places are equipped with all the resources such as many schools around the areas where children can be educated, to live a comfortable life the transportation, the supermarkets and the night market which is very attractive. Also to stay healthy qualified doctors and hospitals are around the area .Residents are advised and are covered providing security regarding theft related issues and personal security. Looking at a place to reside is quite easy and guidable since you could approach a real estate company to go have a look at all the suitable apartments which fits your income and budget and also the convenience. There are fully serviced apartments with two bedrooms or three bedrooms or even as big as seven bedroom apartments .Finding these excellent apartments for around $450 a month is a possibility. These are inclusive with car parking space, fully furnished, cable TV, cleaning services and all needed day to day facilities which are of importance. The rule in the country is that no foreigner or an expat could own or purchase property for sale in Siem Reap but looking at owning a place they could only look out for the upper floors and not the ground floor. So they could look out for condominiums which could be owned up to 70% only. 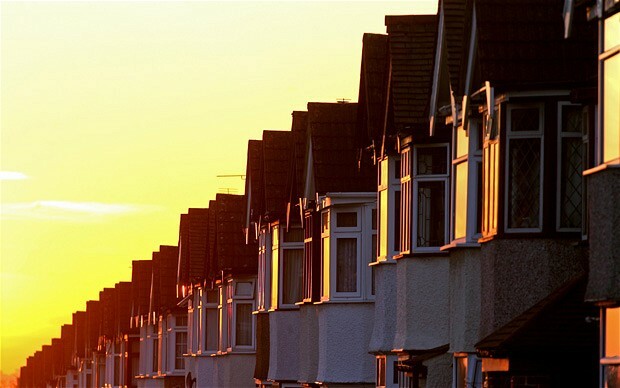 However looking at long term settlements they could settle for long leases of building which could be for a round 50 years and also extend up to the same. But these areas have lot of combatable places which could be taken with all facilities to live maintaining high standards. So looking out for all equipped villas, studio apartments and houses would be easily achievable if you go to a company who does help you out to find one, professionally assisting you with all your concerns. For the average real estate buyer, a house inspection can seem like a steep task without a clue on where to begin and where to end. With some quick tips on the list, a buyer would have a clear knowledge of what is going on before he or she recruits an inspector to examine the real estate. Armed with the information you can make better informed decisions and control the procedure. 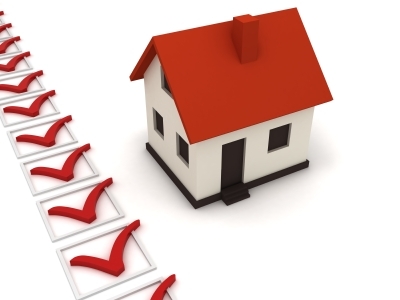 Most people assume that pre purchase property inspections in Melbourne are compulsory. This is the first thing to note; this task is totally optional and is not a must. This is not to say that a house inspection is a bad idea. Conducting a house inspection will tell you about the condition of the house and prevailing issues present in the house before you hand over your money. By having a report of the problems present in the house, you can also negotiate according to the severity of the problem and get the seller to reduce the price or pay for the repairing costs. By conducting building and pest inspections you can examining structural damages caused by pests which are expensive to fix. The second thing to remember is that the buyer is in charge of inspections and the related business with it. The buyer should pay for the home inspector, hire an appropriate one and get the inspection done by the deadline. Ensure that you allocate sufficient time for the inspection to be conducted. A thorough inspection is not something that can or should be hurried through. Hiring an inspector is a costly affair and you might feel like asking the seller to pay the steep cost but the advantage of you hiring the inspector is that he will work for you and that there would be no chance of a home inspector working with the seller to give you a reliable report. Most inexperienced home buyers confuse the difference between contactors and inspectors. A contractor is good to fix maintenance issues but a home inspector is trained to examine the house from the roof to the basement and look or any issues present in the place. Research and ask around or look up on the internet for reliable and qualified home inspectors. A little known fact is that a home buyer can attend the inspection sessions. Most inspectors actually recommend that buyers do this because this allows the buyer ask any questions he has regarding the property. Keep in mind that it is not polite to ask your home inspector to do any repairs and other work. His sole job is to identify problems in the house. What Are The Types Of Property Transfers That Can Be Done? The transferring of a property not only brings about challenges to the client but also for the attorney who will be involved in the whole transferring process. These additional issues that they both need to face would be in terms of paying capital gains, estate tax, gift tax and even Medicaid eligibility issues if the client is considered to be older in age. Therefore, when such factors are considered, the type of transfer too will differ. Following are the types of transfers that will take place when such issues come to light as a complete review is conducted on the transfer. These transfers can differ according to their deeds as given below. General warranty deedIn this type of transfer, you as the buyer will receive all claim to the land or residence that you are purchasing. That is, the seller will transfer all of their title making you the lawful owner of the property. The deed will clearly state it and there will be no issues regarding whom the property belongs to. It is also considered as the most common type of deed used in real estate transfers by any party that are engaged in such transactions. Limited warranty deedAs the title suggests, this type of deed is indeed limited. That is, the seller/grantor will transfer the title, right and interest of their property to the buyer. Yet the lawful owner of the property will still be the grantor. Therefore you will need to consult conveyancing services that specializes in this field and seek for their help in distinguishing such deeds which will be more beneficial for your party, depending on what purpose the real estate is required for conveyancer Fitzroy. Fiduciary deedIf you get assistance from a service like property conveyancing South Melbourne, these types of deeds will be used in this process as the conveying of the property is done by a representative of the owner. This type of deed requires the grantor to mention that the representative has being duly appointed by them in conducting this transfer. Quit claim deedAny interest on the property will be conveyed to the grantee by the grantor in this kind of deed. This type of transfer does not require any warranty. However, as this is based on interest, you must know that if the grantor carries no interest, then you will not receive any either as a grantee. These are typically carried out to clear out any mistakes that took place in the past. Therefore, choosing what sort of transfer process to be a part of is quite challenging and it needs to be done with proper guidance as mentioned.